Goliath I purchased this about 7 months ago. Used it once and put in on a window shelf in the basement. Went to use it today (below zero outside). It was cold from the window. Didnt work. Read the reviews. Placed it in hot tap water for 20 minutes. Worked great again. Love it. Crystal Since Hurricane Harvey hit we have some repairs because of roof damage. We decided we would spruce up the walls with a fresh coat of paint and that required some touchups to the walls. I purchased this can of Homax Orange Peel because it showed I could use a fine mist. We have attempted this type of spray can product before and it comes out like a fire extinguisher :) Anyhow, it worked. It actually worked. I have no training, I watched the video on here and just did it. I attached two photos, one looks like it is dripping, that was user error, the fan blew my nightgown over it :/ but it still looks ok. The second pic it exactly perfect. Tony S I am working on a bathroom renovation and found this product. Shake/point/spray, easy enough, so I picked up 4 cans. After wasting the first two cans and a lot of frustration, I came to write a review. Looking through the posts and wondering why I was getting this inconsistent clumpy mess, and not to professional look the 5 stars reviewers did. I found a Holmax reply comment about warming the bottle in water to another customer. 10 minutes in the warm water and I have never been happier with a spray can texture. If this warming step were apart of the instructions, WARM/shake/point/spray, I don't think there would be a bad review one this product. Was great until it stopped spraying!! Mary S I have 3 cans of this stuff. Turned upsidedown, shook vigorously for 60 seconds and it matched perfectly! Then, pressure deminished. I cleared it and still no pressure. Disappointing!!! Davelll A terrible product!! Did not due the job at all. The can stopped working after about 20%of use. I will NEVER buy this product again and I encourage others not to also. Not sure how this product got on the shelf. ChrisEastham Built a 5x3 closet space and by can calculations, one can should have covered drywall. Shook can per instructions and can dribbled product and had to sling it on the walls. Total covered area was extremely light coat on half of area. At one point the can stopped spraying completely until vigorously adjusting pressure and thickness controls. Otherwise controls made no difference. I will never purchase this product again. D Jon We have tried 4 cans of the product because that is all stores seem to sell around here. We followed the directions and none of them worked in the way the product was promoted. The spray either dribbled out the nozzle or shot out about 3 inches in big globs . 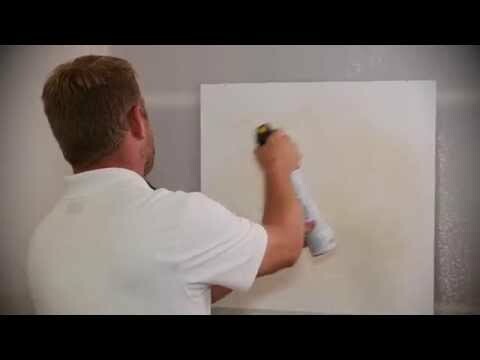 Not the neat spray that the product videos show. We tried 4 cans because we thought we had a bad can each time. We even have to sand off the little that went on the wall because it went on in big blobs. It was messy and got on the counter tops and floor. Very frustrating product to use. I give it 0 stars if I could and would not recommend this product to anyone. Chefknight1 Mist of the product ended up on the floor. It didnt stick to the wall and just fell iff makjng a huge mess. This stuff is garbage. Homax® Pro Grade Wall Texture with Dual Control™ technology is the latest innovation in aerosol textures. This professional tool features adjustment of both pattern and pressure– similar to that of a hopper gun. The oil-based pro formula provides the same ultra-fast dry results as the original, but now with an advanced lower odor and no prime formulation. This time-saving tool provides portable and convenient delivery of a full range of interior orange peel textures to allow you to achieve an invisible repair on interior wall surfaces. Orange peel textures can be a challenge to patch and repair. Matching the existing texture is critical to achieving a professional, flawless finish. Homax makes it easy to repair textured walls with our popular aerosol texture products. This time-saving tool provides portable and convenient delivery of a full range of interior orange peel textures to allow you to achieve an invisible repair on interior wall surfaces. New Pro Oil-based formula: Fast dry, tinted, lower odor, no prime.